Osama bin Laden was born in Saudi Arabia in 1957, one of more than 50 children of millionaire construction magnate Mohamed bin Laden. His first marriage was to a Syrian cousin at the age of 17, and he is reported to have at least 23 children from at least five wives. He is blamed for masterminding a series of attacks on United States targets in Africa and the Middle East in the 1990s. His family, which became rich from the Saudi construction boom, disowned him, and he was stripped of his Saudi citizenship. He fought in the US-funded insurgency in the 1980s against Soviet troops in Afghanistan, where he founded Al Qaeda. He returned to Afghanistan in the 1990s, training Islamist militants from across the world in camps allowed to function by the ruling Taliban. 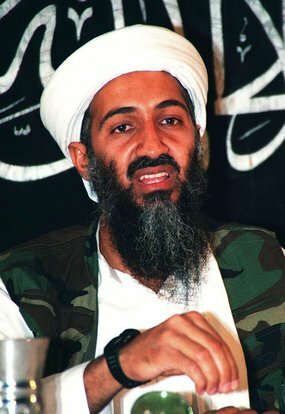 Tall, gaunt and bearded, bin Laden was unhurt by US missile strikes on his Afghan camps after the 1998 US embassy bombings in east Africa. According to some reports, he was nearly killed by a US bomb when militants were being hunted late in 2001 in the Tora Bora mountains in eastern Afghanistan. US Defence Secretary Robert Gates said in December 2009 that the United States did not know where bin Laden had been hiding and had not had any good intelligence on his whereabouts in years. He was killed in a US operation at a compound in Pakistan in May 2011.